Enjoy Lima lit up at night, we will visit the Historical Center of Lima, World Cultural Heritage, on a night tour through the San Martin Square, the Main Square, the Cathedral and the Municipality of Lima. 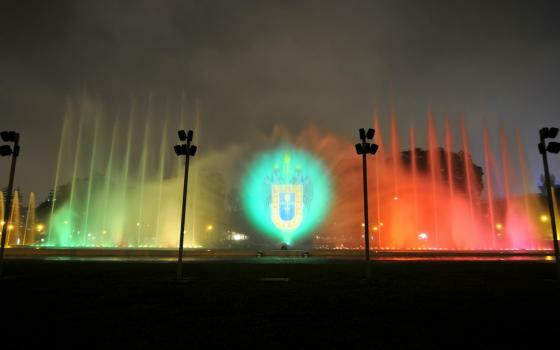 We will visit then The Magic Circuit of Water known as the biggest and greatest fountains complex in the world certified by Guinness World Records. This circuit includes thirteen ornamental fountains, in which the joyful undulating movement of the waters along with the multicoloured lights, the images and the music grant you a great experience. We will be able to appreciate the Magical Fountain, which has a jet d’eau that reaches the eighty meters of height; the Surprise Tunnel, the Harmony Fountain, the Illusion Fountain, the “Visitable” Dome, the Fantasy Fountain, the Rainbow Fountain, among others. Departures: From Wednesday to Sunday from 06:00 pm to 7:30 pm. A minimum of two participants are required for this tour. PLEASE ASK FOR RATES IF YOU TAKE THE TOURS FROM THE AIRPORT OR THE CRUISE SHIP TERMINAL.